I worship this band and am wondering if there's any news of the cd (OR VINYL HOPEFULLY!!) repress of all their stuff ? 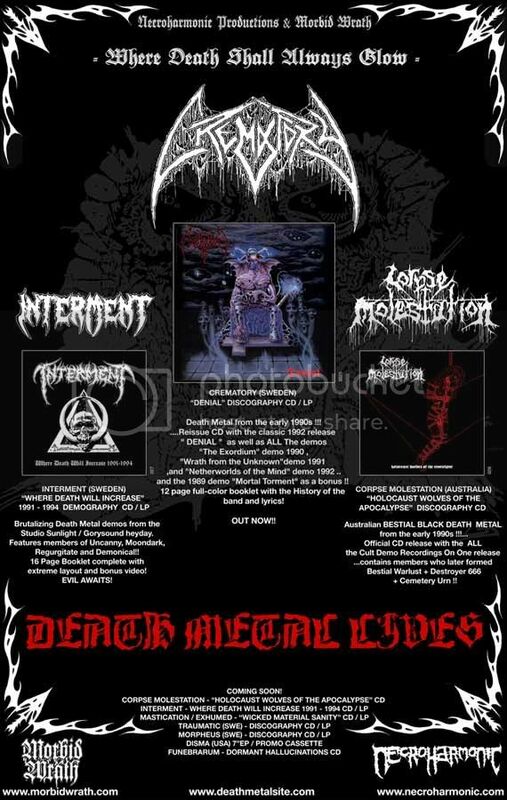 I still can't find the Descension of a darker deity pic lp so with all the new represses of stuff that seems to be flooding the scene i've got my fingers crossed . Any other CM worshippers out there?? Never heard Corpse Molestation actually. But i really like BESTIAL WARLUST. Who is doing the vinyl version of that Corpse Molestation best off? Black Ace did a pic LP I think. yeh Black ace is doing it. they will do the LP version. Basically the same but more gutteral. I like the Corpse better than Bestial Warlust. Ill be in for the LP version for sure. I'm looking for this one. Any of you have got it for trade?